I Me My: Aravind Adiga's "The White Tiger" - Drawing Parrallels with Danny Boyle's "Slumdog Millionaire"? Aravind Adiga's "The White Tiger" - Drawing Parrallels with Danny Boyle's "Slumdog Millionaire"? I would not have read this novel, "The White Tiger", had I not seen the movie "Slumdog Millionaire'. The parallels between Aravind Adiga's novel "The White Tiger" and Danny Boyle's movie "Slumdog Millionaire" are uncanny: they are both set in the current day India with it's booming economy; both have a poor young Indian male as the protagonist who becomes incredibly rich in record time and in the most unique way imaginable; both reveal the class based ethos of India in a nonchalant narrative of two incredible storylines. Adiga's book is definitely a page turner as it took me a few hours over a weekend to get through it. Though a simple tale, but Adiga manages to make it intriguing because of his colorful and unpredictable protagonist Balaram Halwai whose reactions to events and situations make the reader hold his breath and wonder. Halwai, though similiar to Boyle's 'Slumdog' Jamal in his socio economic status, lacks the straightforwardness of Jamal. Halwai is not waiting for love as was Jamal in the movie, and neither is Halwai content with his lot as Jamal was until he entered the Game Show. Unlike Jamal, Halwai wants to change his have-not status; he knows that he has to grab life wherever and whenever he can find it, and in the book he makes the ultimate grab for it in the most bizzare way possible which I think you will want to find out on your own when you read The White Tiger. Aravind Adiga beat Salman Rushdie, Joseph O'Neill, and some other well known authors to get the Booker Prize in 2008, and I wonder why. No doubt, the novel has an intensity in that it keeps the reader at edge wanting to know what Halwai would do next, but that is not enough for this novel to have gotten this prestigious recognition. Apparently Adiga's book prevailed "because the judges felt that it shocked and entertained in equal measure." This comment made me think about another novel I had read a few years ago, "A Fine Balance" by Rohinton Mistry; a long and arduous read of some 600+ pages that shares its theme and setting with "The White Tiger". Mistry's "A Fine Balance" created waves in the literary world then, but not on the scale that Adiga's book did, and I think that was so because it lacked in its ability to 'entertain while shocking'; something that Adiga manages to do with uncanny ease in his "White Tiger". 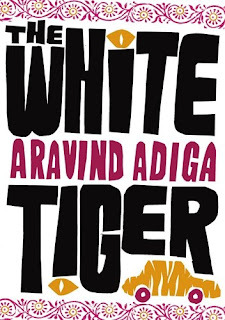 Whether Adiga's "White Tiger" got lucky and rode the wave of world interest in India, or whether it truly deserved the Booker Prize, is for each individual reader to decide. However, I can safely vouch for the novel's ability to keep the reader engrossed until the very last page. i read this book while travelling and it had me hooked! Yes, Adiga's book is great. it hits the nail on the head. Danny Boyle has been a favorite of mine since I saw Shallow Grave, since then he's gone on to make three masterpieces(Trainspotting,28 Days Later and Millions), a near perfect film(Sunshine) a guilty pleasure(The Beach) and a total miss(A Life Less Ordinary). Slumdog Millionaire comes out of nowhere and it could very well be his best film and one of the best films of the decade. Visually like Boyles previous work it's stunning, Apocalypse Now and City of God come to mind and there are dutch angles galore. The raw style mixed with the amazing locations make this film one of the most cinematic experiences you'll ever see. The Sound is perfect, I haven't heard audio like this in a while. This film needs a Sound Oscar nomination, it sounds that good. I went into seeing this knowing very little about it and the person I took with me didn't know anything about it, so I'll just say it's about a young man that goes on Indias Who Wants to be a Millionaire, it's a very unconventional film where they tell the story of his life in flashbacks while he plays the game. It's funny, sad, thrilling, basically a very enjoyable film that deserves numerous Oscar nominations. Also the lead actress is one of the most beautiful women I've ever seen, if she isn't a huge star after this I'd be extremely surprised. If the academy doesn't honor this film with numerous nominations it will be a shame but this film will be studied in 20 years and whoever sees this will love it, so even if it doesn't get a single nomination it won't matter. Don't miss this film, it's perfect! Personally, i think Arvinnd's book was a street smart book, and of course very well-researched. The way he has potrayed drivers (in India)...i think most of us have never given a thought about it. To be honest, i have started viewing my office driver in a different light now. But then Rushdie's EoF was a musical opera. In fact i will rate it a step over White Tiger, only because it traverse across so many cultures and the reserach that Rushdie has done is extensive. I totally agree with Lash that White Tiger shouldn't be compared with Slum Dog. Slumg Dog wasn't anywhere well reserached and is only meant to entertain you...i guess the Oscar judges found something educating in it, just coz they don't know the real India. At last, I'll say White Tiger deserves to win a booker, for its sheer research and the keen sense of observation that the author had. Thank you for your ringing endorsement of the Adiga book. I had plans to read this book ages ago and then I came across his short story (I forget the title) in the New Yorker which was underwhelming so I put the book aside but now I see it's time to take it off the shelf again. I read "the white tiger" and I can vouch for one thing.... the parrellel world of people that "we " generally look through really exists and is very close to what Adiga describes.I have lived in Gurgaon for some time now ...and i didnt realise they dont let every one enter the MALLS. I actually sat on the gate of one of these MAlls to check... well I couldnt see anyone turned back , but then I didnt see anyone dressed like a " have not" trying to get in .. I am going to try to dress down and attempt entry one of these days to see what happens... well the overall feeling that I had after reading the book was sorrow for what goes on around us in the cities in India and how little I can do to change that .. but I have reecommended the book to a lot of my friends... It is a quicker paced read than the other shortlisted Indi book "Sea of Poppies" which though painfully researched, lacks that black humour and ends rather hurriedly.! That's one insightful observation. I must admit I haven't visited too many malls when I've visited New Delhi, but the couple that I've been to do subscribe to the very narrow sampling that you mention; they are definitely not the 'have nots' like the Balram Halwais of Adiga. I didn't know that both them are really alike. If you only read the title you can think that those two books are differents.